One of the features of ComputerCraft I’m most proud of is one design principle I’ve consistently applied: realistic constraints. Turtles are powerful, but restricted: they can only dig things in front of them, and they must have resources to build. Some times though, you just want to get creative. 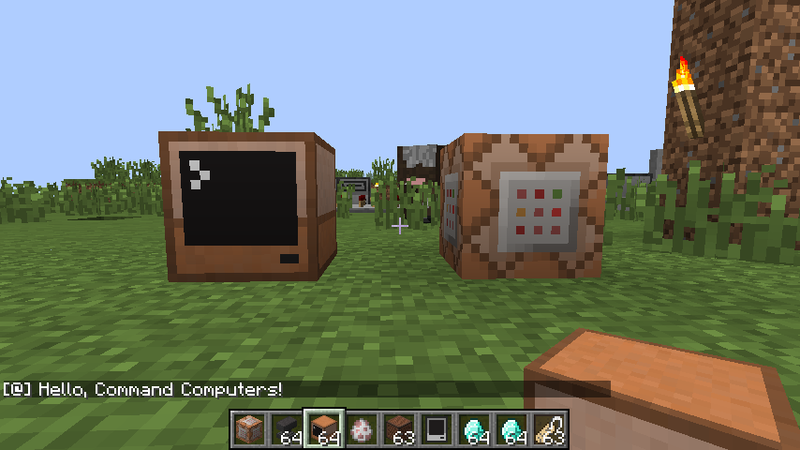 In ComputerCraft 1.7, I’ve added a new feature I’ve wanted for a long time: the Command Computer. ComputerCraft 1.7 requires Minecraft version 1.7.10 with an up to date version of Minecraft Forge installed. Once you have Forge, drop the files into your /mods/ directory, and launch Minecraft. I’m really excited to see what people create with this update, be sure to post anything cool onto the ComputerCraft forums. Happy hacking! If you visit this website a lot, you’ve probably noticed that it has a habit of going offline, sometimes for several days at a time, sometimes several times a month. If you follow me on Twitter, you’ll know that the cause of this downtime is abuse: DDoS attacks organised by immature fans of other Minecraft mods, and people who’ve been banned from the forums. It’s disgusting behaviour, but it’s unfortunately one of the things you have to deal with if you run a website with any significant userbase today. This post is not to complain, however, but to announce a solution: I’ve moved the site from my previous web host to a new server graciously provided to me by CreeperHost, the Minecraft server hosting company who you may know as the people who provide the bandwidth for the Feed the Beast launcher. With any luck, this server should be more resilient to attacks than the previous host. Time will tell. At any rate, I owe big thanks to CreeperHost for helping me out with this situation. If you’re in the market for Minecraft server hosting, check them out! And thanks to everyone else for your patience during these troubled times. 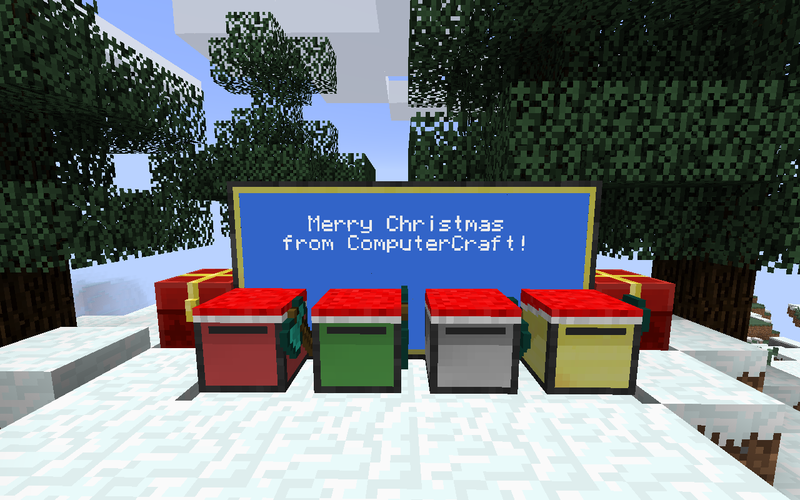 ComputerCraft 1.0 was released at 10pm on December 24th, 2011. This means that, as of 10 minutes ago, ComputerCraft has been available for download for three years! Thanks to everyone for sticking with it for all this time. For the next week, all the Turtles in ComputerCraft will be wearing their hats to celebrate. I hope you’ll join them. ComputerCraft 1.65 requires Minecraft version 1.7.10 with an up to date version of Minecraft Forge installed. Once you have Forge, drop the files into your /mods/ directory, and launch Minecraft. Enjoy the update! And while I have your attention, check out the new game I’ve been working on: Redirection. End of plug. Just download ComputerCraft 1.63 and type “redirection” as shown in the video to play it. If you like the look of the “real” Redirection shown at the end of this video, be sure to visit Redirection on Steam Greenlight and vote “Yes”. We’re 85% of the way to the elusive top 100 list now, so we need all the votes we can get to cross the finish line. If you’ve already voted, tell your friends to! ComputerCraft 1.63 requires Minecraft version 1.6.4 with an up to date version of Minecraft Forge installed. Once you have Forge, drop the files into your /mods/ directory, and launch Minecraft. Thanks a lot to everyone who helped beta test this release and report bugs. The huge refactoring in 1.6 was a rocky road in terms of bugs, but I think we’re pretty steady now. See you after the Minecraft 1.7 port! Support Redirection on Steam Greenlight! Yesterday, I submitted Redirection to Steam Greenlight. If it gets enough votes on there, I’ll be able to sell the game on Steam, and hopefully make enough money to continue developing games and mods as my full-time job for a little while longer. This means more games, more ComputerCraft updates, and me not having to get a proper job again! If any of this interests you even a little bit, please: visit Redirection on Steam Greenlight and vote “Yes”. I’ll be eternally grateful. We found some more crash bugs, so had to do another update. This is what happens when you decide to refactor an entire mod from the ground up! Consider that lesson learned. There is one new feature though: “chat” now supports IRC commands! ComputerCraft 1.62 requires Minecraft version 1.6.4 with an up to date version of Minecraft Forge installed. Once you have Forge, drop the files into your /mods/ directory, and launch Minecraft. With an update as large as ComputerCraft 1.6, it was inevitable that a few bugs would slip through testing. This update addresses those. Specifically: it fixes cases of Computers not rebooting on Server restart, and of new Computers with different IDs all sharing the same folder structure. Enjoy! ComputerCraft 1.61 requires Minecraft version 1.6.4 with an up to date version of Minecraft Forge installed. 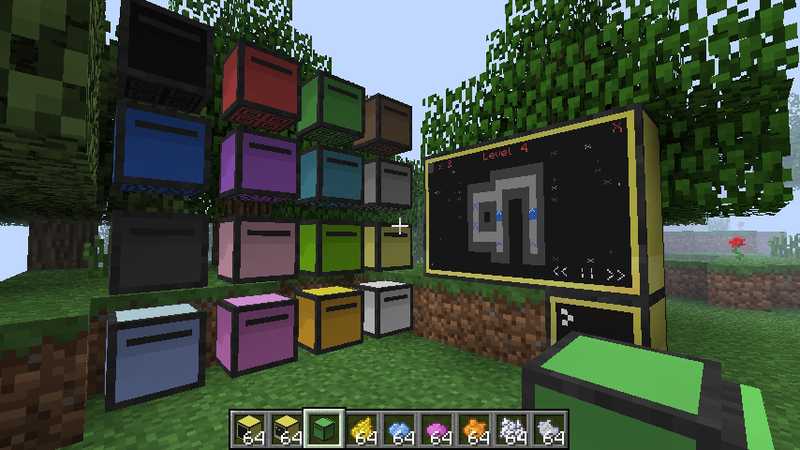 Once you have Forge, drop the files into your /mods/ directory, and launch Minecraft.